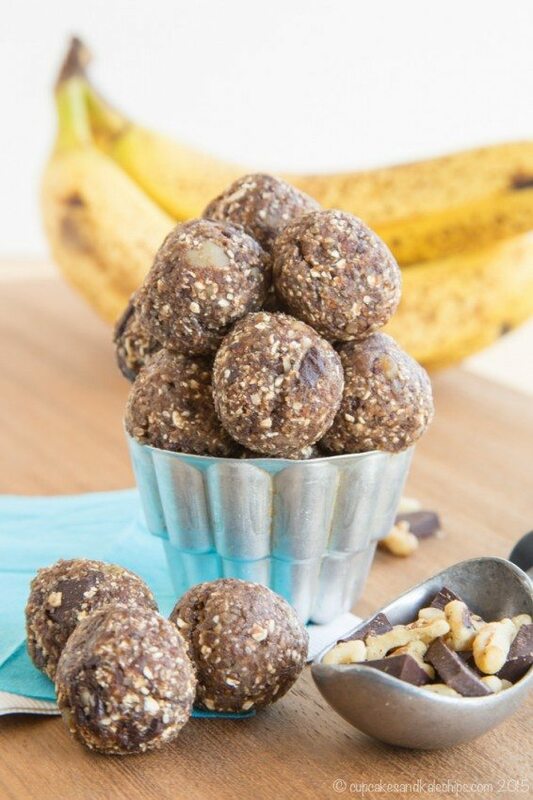 Banana flavored bites with chunks of dark chocolate and walnuts, for a healthy snack that’s easy to pack along on busy days, whip up a quick batch of Chunky Monkey Energy Balls. I thought it was tough having one kid who was an eating machine. Now I have two. And they’re not even school-age yet. Those of you that have three or more, you’re saints, superheroes, rockstars in my eyes. And if you have teenagers, well, wow, I don’t know how you do it. I guess one day I’ll know, but maybe you’ll let me in on your secrets so that I am prepared. All I know is that I’ll need a bigger refrigerator and a bigger paycheck. At least right now they are in preschool, so they get to do the majority their snacking there, and only hang on my feet or climb into the fridge or pantry (yes, I mean that literally) some of the time. But still, the amount of time that I spend preparing, handing out or serving, and cleaning up food is kind of ridiculous. And that’s not just because I am a food blogger who frequently has a sink filled with dishes from developing and photographing recipes. Summer is going to be a whole new ballgame, since they won’t be going to camp other than maybe a week or two. Sure I’ll have staples like fruit and cheese and nuts and raisins on hand, but that gets boring after awhile, so I have a feeling I’ll be spending the last couple weeks that they are in school stocking my freezer with things like muffins, healthy cookies, granola bars and popsicles. 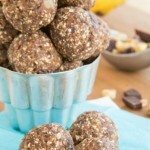 Inspired by that famous indulgent ice cream flavor, Chunky Monkey Energy Balls have the typical date and oat base that you find in many recipes for energy bites or bars, with some superfood goodness thrown in for good measure, like flax and chia seeds. But then I added banana and vanilla to give it that banana ice cream-type flavor. Chunks of walnuts and dark chocolate not only complete the chunky monkey trifecta, but also add more antioxidants and other good stuff. 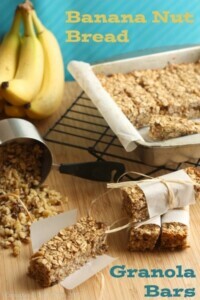 Plus make them take totally indulgent. 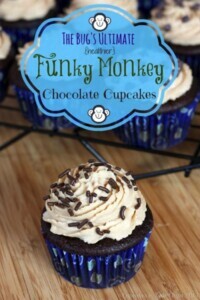 I might just have snuck a couple out of my fridge last night. Shhh, don’t tell my kids! 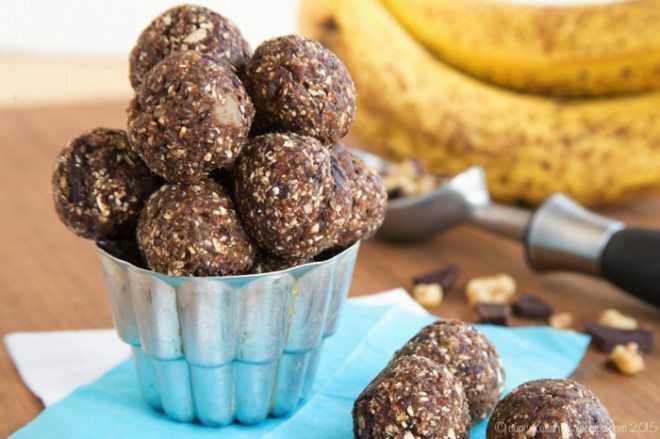 Chunky Monkey Energy Balls are packed with healthy ingredients perfect for an energy boost. Using about a tablespoon of the mixture at a time, roll into balls. Store in the refrigerator until ready to eat.